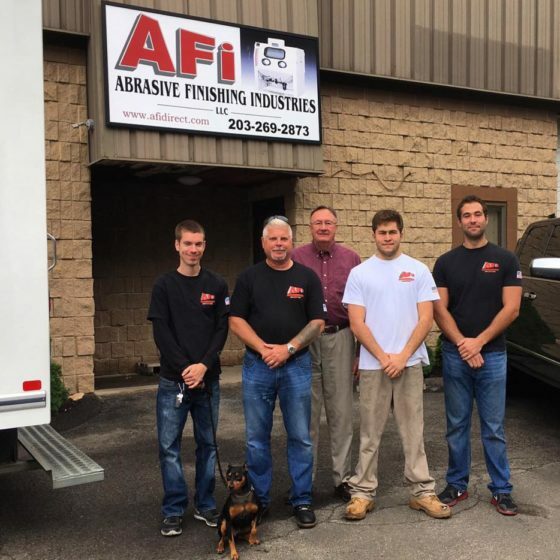 Abrasive Finishing Industries.,LLC (AFI) is committed to our customers’ success by delivering exceptional service in the areas of surface finishing. Our team is dedicated to helping customers with new applications. 24 hour voice. Same day or next delivery. Refurbish older equipment in house or at our facility. PMS available. Setting up an in house inventory for all your metal finishing equipment. Visit our online catalog which includes direct links to manufacturer information. Click on our online quote form and let us know what you are looking for. Because we offer such a wide range of products we couldn’t list everything, so if you don’t see it here, just ask. Call us at:(203) 269-2873. Top quality abrasive equipment and supplies for superior finishing! A large stock inventory so downtime becomes thing of the past! 24 hour service to meet the needs of all shifts! Weekend delivery to keep your production in motion! Experienced, knowledgeable staff to help you find the best equipment for the job! We offer unsurpassed customer service with 24 / 7 support and same day delivery!